QUALIFICATIONS AND EXPERIENCE – The ON-SITE team of professionals has provided Quality Assurance, Testing and Expediting support to the Electric Power Generation and Distribution industry worldwide. As the world’s needs for more electricity and distribution facilities have grown, so has our demand for Quality Services. From the fabrication shop floor to the construction site, our presence and experience is second to none. Our contemporary experience includes the provision of quality assurance services associated with the construction and commissioning of Power Generation (Steam, Coal, Hydro electric and Gas Turbine) and Distribution Projects throughout the world. 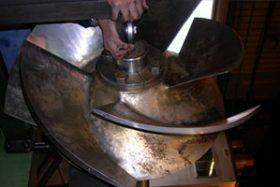 More specifically, our experience involves in process fabrication inspection and witness testing services for large mechanical and electrical components including: Boilers, Hydraulic Turbines, Turbines (both Gas and Steam), Pumps and Motors, and Electrical Generators. We have performed such services throughout the United States, Latin America, Japan, Korea, Indonesia, Brazil, Mexico, India and Europe. 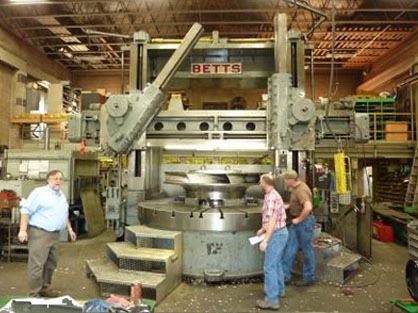 Our staff typically monitors fabrication, witness testing, and overhauls of rotating equipment utilizing specification criteria defined by AWS, ASTM, ASME, ANSI, API, IEEE and client project specifications. ON-SITE staff is comprised of engineers and inspectors with highly diverse backgrounds and a broad range of experience; we have also applied our expertise in the inspection and witness testing for ‘balance-of-plant’ components as found in a typical electrical generating facility. These include but are not limited to the following: Condensers ● Condenser Tubes ● Vacuum Pumps, Boilers ● Boiler Tubes ● Boiler Feed Pumps, Condensate pumps, Cooling water pumps, Motors, HVAC Equipment ● Chillers● Fans ● Louvers, Valves; including Relief, Control, Gate, Butterfly and Actuators ● Cooling Towers components, Heat Exchangers, Electric Motors and generators ● Piping including coating inspection ● Structural Steel for Plant Equipment ● Transformers and Plant Control Systems. 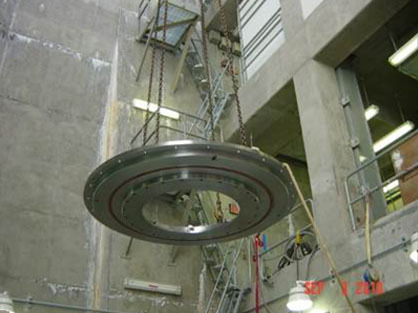 With inspection personnel throughout the world, we can easily support any large equipment fabrication effort. The composition of our staff includes, but is not limited to, Mill Inspectors; Metallurgists; degreed Engineers of various disciplines; Certified Pressure Vessel Inspectors; Welding Inspectors certified through the American Welding Society (AWS); Coating Inspectors certified through the National Association of Corrosion Engineers (NACE); and Non-Destructive Evaluation Technicians certified in accordance with the American Society for Nondestructive Testing (ASNT) Standard SNT-TC-1a. FORENSIC ANALYSIS – ON-SITE’s multidisciplinary staff of engineers and other specialists has numerous years of experience in the analysis and prevention of failures, materials testing, and product evaluation. Our Material Test Laboratories will provide root cause-failure analysis and vibration testing services of rotating equipment. 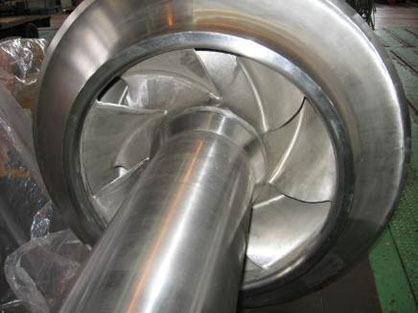 Additional capabilities include FEA and troubleshooting of rotating machinery, including pumps, compressors, fans, turbines, motors, gearboxes and engines. ON-SITE has assisted numerous agencies providing forensic analysis, failure analysis, root cause analysis associated with generator, motor and pump failures. PROJECT PROFILES– ON-SITE has assembled the following project profiles of successfully completed projects. These projects detail ON-SITE’s experience managing multiple projects simultaneously and our ability to provide Quality Assurance services worldwide. 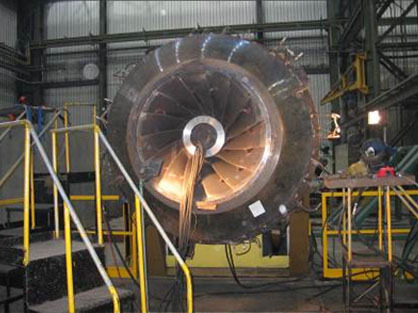 Palomar Power Plant Panoche Enegry Dallman Power Plant Ruhrpumpen – Mexico Inspection, Testing & Failure Analysis of broken impeller casting, Fabrication Inspection of Circ water pumps, witness performance testing. 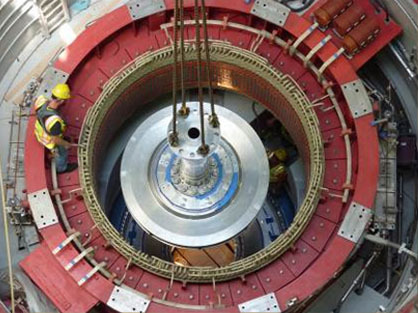 Keen Energy Project Flowserve – New Jersey Boiler Feed water Pump Inspection for external damage after explosion. 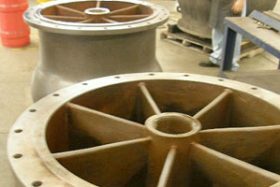 Brayton Point – Closed Loop Cooling Project Peninsula Alloy – Stevensville, Ontario Canada Fabrication Inspection – Castings: Impellers, impeller cone and suction bells. 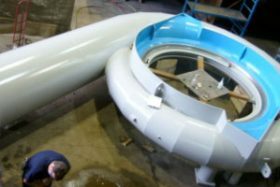 Brayton Point – Closed Loop Cooling Project ITT – Flygt Pumps – Wisconsin Fabrication inspection –Welded Pump Components, NDE, Dimensional. 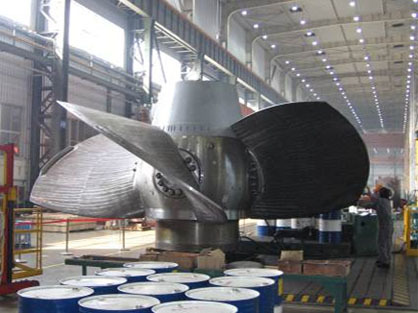 Brayton Point – Closed Loop Cooling Project Grace International Shenyang, China Fabrication Inspection Diffuser Castings- NDE, weld repair. 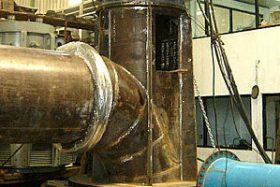 Brayton Point – Closed Loop Cooling Project Hyundai Heavy Ind.– South Korea Fabrication inspection Diffuser Castings Visual, NDE, Weld Repair. KBV Springfield – Dallman Ruhrpumpen – Texas Repair Inspection -Cooling Water Pumps, witness teardown, dimensional, balance and assembly. Thorold Cogeneration Project West Coast Stainless – Huntington Park, CA Fabrication inspection Condensate Pump Impellers, Visual inspection and Review RT film. Thorold Cogeneration Project Ruhrpumpen – Tulsa Oklahoma Monterey, Mexico Fabrication inspection Condensate Pump in process welding, dimensional, hydro and performance; Review FEA results for the Circ Water Pump; Fabrication inspection Fabrication of Circ Water Pumps in process welding, dimensional, hydro and performance. 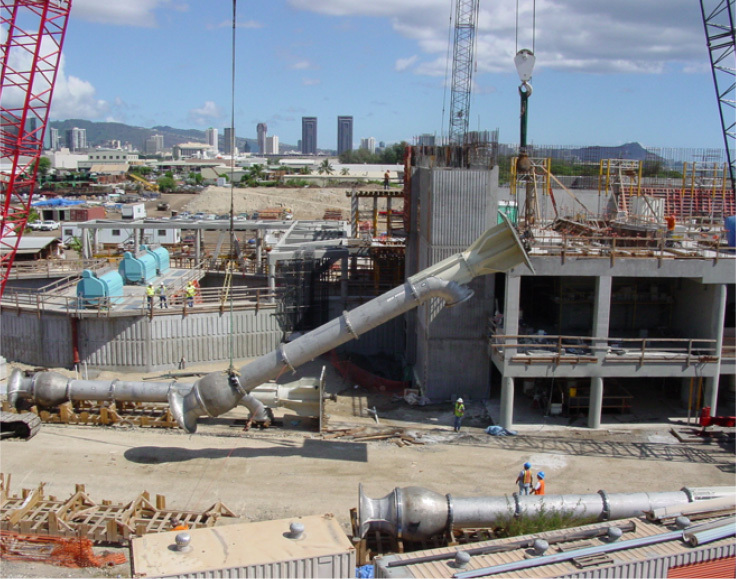 Kiewit Industrial – Los Angeles Department of Power-Haynes Repowering Haynes Power Plant Long Beach, CA Trouble shoot repairs on pumps at site vibration analysis, witness teardown, in process repair inspections, complete vibration analysis. Wayne County Flowserve – Mexico Taneytown, Maryland Circ Water Pumps – witness performance testing; Condensate Pump – visual inspections witness performance testing, make recommendations on performance problems. 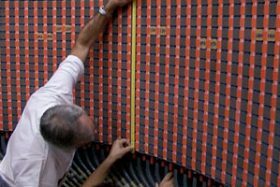 EMWD – Perris Valley EWRF Jacobs Engineering – Indiana In-factory inspection of diffuser panels. Tokyo, Japan Witness tests and in process welding of transition Pieces. KBV Enmax Flowserve – Mexico Circ Water Pumps – in process fabrication shop inspection, witness assembly and testing. 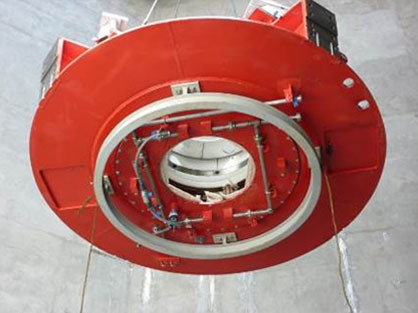 Flowserve – Mexico Visual inspection of pump castings, witness NDE and weld repairs. 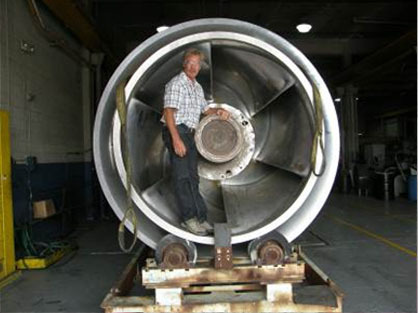 ; Circ Water Pumps – witness performance testing. Walnut Creek CWP Torishima – Osaka, Japan Complete Factory Audit prior to award, witness testing of pumps. Walnut Creek Energy Park Wongkang Metals – South Korea Visual Inspection of SS castings. Witness NDE and weld repairs. Busan, South Korea Status inspection of High Pressure Valves –Inspection and Expediting of materials. Ghent CCR Transport ON-SITE-Engineer Review specifications and submittals for the FGD Slurry Pump & Sump Pumps for Kentucky Utilities, provide recommendations. Sutton 2X1 Project CCI – Rancho Santa Margarita, CA Witness Hydro Testing and MT/PT Testing of welded castings. Project ON-SITE-Engineer Review Specifications, visually inspect pump installation at the site. 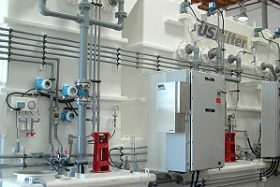 Bright Water Treatment Plant WEG and Fairbanks Morris Complete review of job specifications and submittals and comment. 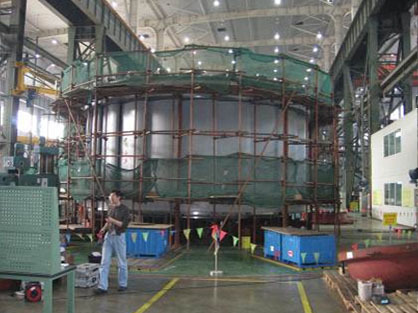 Complete in process fabrication inspection and witness performance testing. Sutton 2X1 – TIC Project Flowserve – Mexico In process fabrication inspection & testing of Circ Water Pumps. 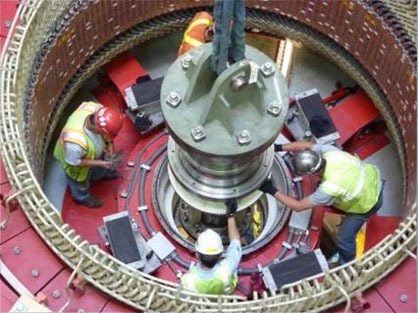 Wayne County Combined Cycle H.F. Lee Energy Complex Goldsboro, NC Review & provide comments regarding Clyde Union’s utilization of materials for construction of six Boiler Feed pumps; includes viewing boroscope videos of the six pumps. TIC – Wayne County Clyde Union Pump– Baton Rouge, LA Inspection of Pumps, witness disassembly and inspection of Boiler Feed Water Pumps, review findings and witness reassembly. Ghent CCR Transport Flowserve Taneytown, PA Witness balancing of impellers Visual Welding inspection of CS Transfer Pipe for Ash handling system. Gulf Coast Intercostal Fairbanks Morris Perform failure analysis, provide engineering support design changes and modifications and start up activities. Rio Hondo Pump Station Goulds Pumps Provide start up manager support for new pump station and chemical injection facility. 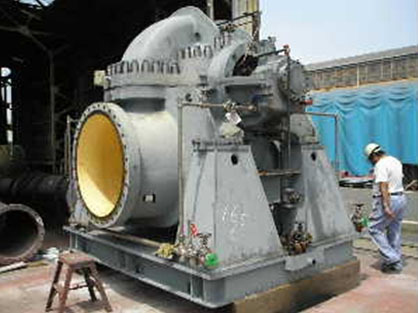 Lake Hodges Pump Storage GE Hydro Provide fabrication inspections. Provide engineering support during the installation, provide failure analysis, provide field inspection support during the installation of the equipment. 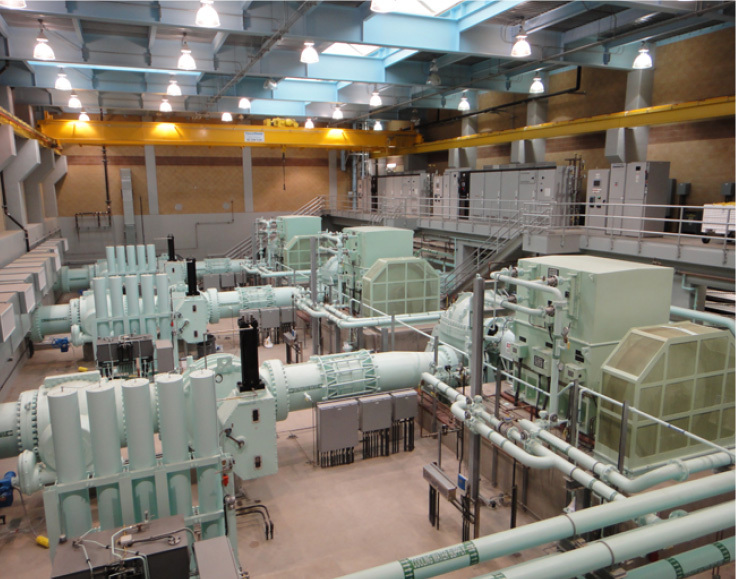 South Bay Pump Station Gould’s Pumps Provide site support and technical support to review submittals. Provide shop inspection support for repairs. Rebuilding of 18 multistage boiler feed pumps of the past three years. Cherry Valley Pump station Weir Floway Procurement support/fabrication inspection. Review and provide engineering support to develop job specifications, review proposals and support submittal reviews during fabrication. Specifications for retrofit of equipment, review submittals and budget. Chrystal Springs Ebarra Pumps Provide engineering support; develop start-up plan, review PLC programming and support surge testing. submittal review, in process fabrication inspection of the pumps and installation and start up support. Kern County MWI Pumps Visit site and complete inspections, review specs and drawings, review vibration reports and make recommendations. 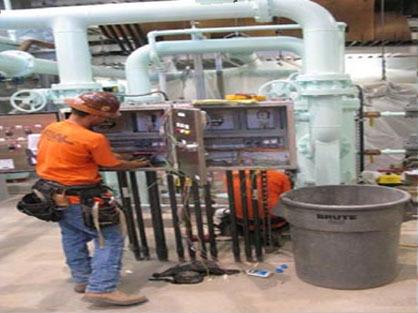 Scatttergood Power plant Temporary pump installation Visit site and review installation and operating plan, make recommendations to suction piping, witness start up and make adjustments to the control system. Analysis inspection / engineering support. Provide recommendations to Council. Poseidon Desalinization Sulzer-Brazil, Flowserve-Spain, Ebarra- Japan Provide submittal review for 18 high energy pumps, complete factory audits during fabrication, witness performance and string tests. 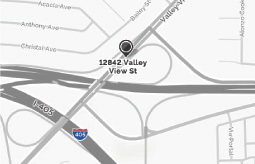 Provide technical support as requested. Sulzer Canada Provide technical support for submittal review, witness performance testing for the main Circulating Water Pumps, Aux Circulating Water Pump, Condensate Pumps and the Boiler Feed water Pumps. Lane and Bowler Complete visual inspection of disassembled deep well water pump. Determine root cause of failure, recommendations to improve reliability. Complete audits of three pump repair shops to establish an approved vendors list. ; completed vibration testing during start up. 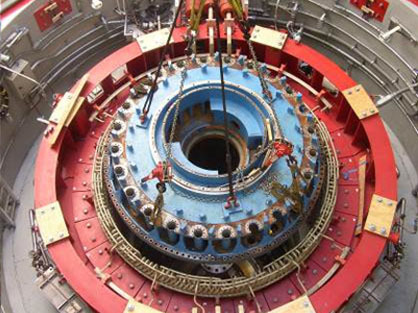 Hawaiian Electric Flowserve, KSB, Sulzer Complete visual inspection of disassembled pump, determine root cause of failure, recommendations to improve reliability of 38 different pumps. Western Summit Site work Preformed hydraulic study of new pump installation and performance testing. Reviewed pump curves and submittals, made recommendations to resolve the performance issues. Western Summit Site work Review failure history and repair records. Worked with pump vendor to identify manufacturing problems. Recommended changes to operating plans to improve pump reliability. 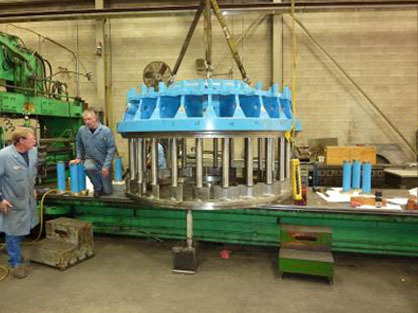 Cherokee Energy Sulzer BFW pumps Witness performance tests and string tests, review pump data, witness tear down inspection review dimensional inspection data, and damage, made recommendations to the owner. ITT Goulds Valmey Power Plant Provided technical support field service support during an outage to change out a Boiler Feed Pump bundles. Three Valleys Water District Flowserve deep well water pumps Reviewed well data, maintenance history and pump data sheets. Made recommendations to operational guidelines to improve reliability of the pump. South Coast Water District Allis Chalmers Reviewed pump installation history and performance data and provide recommendations on pump replacement. Provided supported during specification development and submittal review, manufacturing and performance testing, installation and startup. Kern County Water Flowserve Deep Well water pump. Reviewed operating history and maintenance records, completed visual inspection of failed pump components, reviewed well draw down data. Made recommendations to pump specifications and operating parameters to improve reliability. Valmey Power Plant ITT Goulds Provided technical field service support during an outage to change out two Boiler Feed Pump bundles. Hawaiian Electric ITT Goulds Provided field engineering support to evaluate cracks found in a BFW case. WA Parrish Power Plant Torishima Japan Reviewed specifications, pump performance test data and vibration data, reviewed FEA Lateral analysis and provided recommendations to the engineer for additional testing to identify the installed natural frequency associated with 1600 HP vertical pumps. City of San Diego 4 Fairbanks Morris Sewage Lift Pumps New pumps had high vibration and failed to meet the contract requirements. Performed vibration testing and inspected pump installation, reviewed pump specifications. Performed forensic to complete an OSD study and develop an FEA model of the installation. Provided recommendations on how to modify the pump support structure to correct the natural frequency problem. Xcel Energy Rocky Mountain Energy Center This BFW Pump failed after 30 hours of operation. 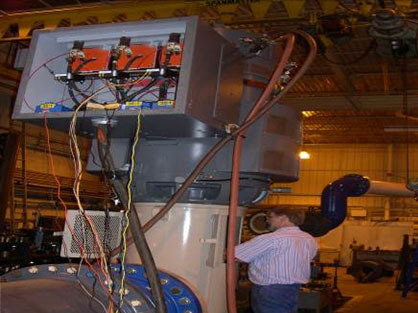 Provided a rotating equipment engineer to witness the disassembly and the as- found inspections, developed a repair scope and witness the reassembly. Completed a failure analysis report and made recommendations on operation parameters including speed and minimum flow. Kern County Water Project Site This 1000 HP vertical pump has high vibration after being rebuilt. Worked with KCW maintenance engineers to complete vibration testing. Reviewed the vibration data and spectrums and completed a vibration analysis. Identified a resonance in the pump discharge head which was being excited by the motor. Provided recommendations to detune the pump / motor structure. The Lake Hodges Pipeline and Hydro Electric Pump Station is a part of San Diego County Water Authorities Emergency Storage project. Hydraulic turbines will provide the additional benefit of capturing energy created when water flows from the Olivenhain Reservoir into Lake Hodges. The pump station will generate 40 Megawatt capacity by utilizing 2 each 20 MW (15300 HP) vertical generators. This very important project will increase the amount of water available within the county for use during emergencies. The work being performed consists of the construction of new pump station and inlet outlet structures, installation of fabricated steel pipe and fittings, and related systems, gates and valves, and other appurtenances. 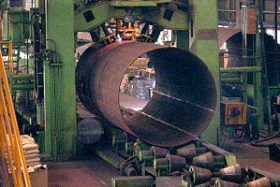 ON-SITE provided shop fabrication inspection services of the mechanical equipment and large diameter steel pipe and fittings associated with this project at various locations both domestic and China, Brazil, and Canada. Rancho Peñasquitos Pressure Control and Hydroelectric Facility located in the Mira Mesa area, will serve an important function in improving aqueduct operations and enhancing the flexibility of the Water Authority’s extensive water delivery system. 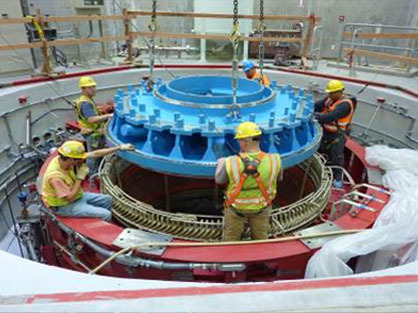 A 4.5-megawatt hydroelectric turbine generator will generate supplemental electricity in the facility and will operate year-round, reducing the Water Authority’s energy costs while supplying surplus power to the region. The construction of this $21 million facility consisted of the manufacture of 3,000-feet of 96 inch-diameter and 108-inch-diameter pipe at numerous locations throughout Korea that will connect the facility to existing pipelines. SDG & E’s Palomar Power Plant expansion involved the upgrading and replacement of mechanical and electrical equipment throughout the plant. 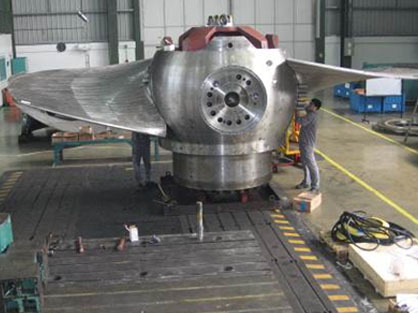 ON-SITE TECHNICAL SERVICES provided direct technical support and engineering analysis, fabrication inspection services, supported performance testing and vibration analysis of 3 each 65,000 GPM 1,750 HP Vertical Pumps fabricated in the United States and Mexico. 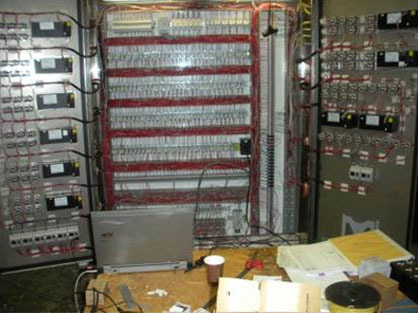 Due to the critical time line associated with the installation of the equipment ON-SITE TECHNICAL SERVICES provided expediting services during the fabrication of the pumps and components to ensure that the pumps arrived at the job site meeting customer specification requirements prior to shut down and installation of the equipment. ON-SITE’s staff provided inspection and engineering support during the performance testing of the pumps. Los Angeles Department of Water and Power Palomar Power Plant expansion involved the upgrading and replacement of mechanical and electrical equipment throughout the plant. 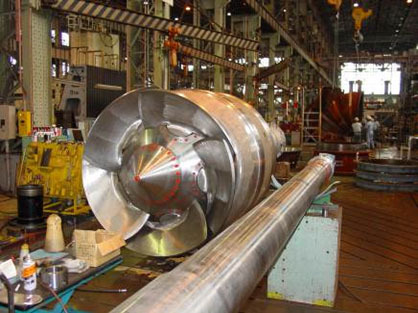 When the installed 42″ pumps began making cyclic noise and vibrating during operations ON-SITE was contacted to perform engineering analysis of the problems associated with 4 each 45,000 GPM, 750 HP Vertical Pumps. These efforts involved the failure analysis of the pump components, supporting the rebuild efforts and start-up operations of all 4 pump units. Ishikawajima Heavy Industries Tangjun Bin Power plant is a Coal Fired Power Plant capable of producing 21,000 MW of energy per year. This plant which, is currently under construction is located in Malaysia and is being constructed using technology that will efficiently utilize their limited natural resources. ON-SITE provided Quality Assurance fabrication inspection of the mechanical, electrical and engineered equipment such as the ash systems, compressors, fans, blowers and control panels at locations throughout North America. 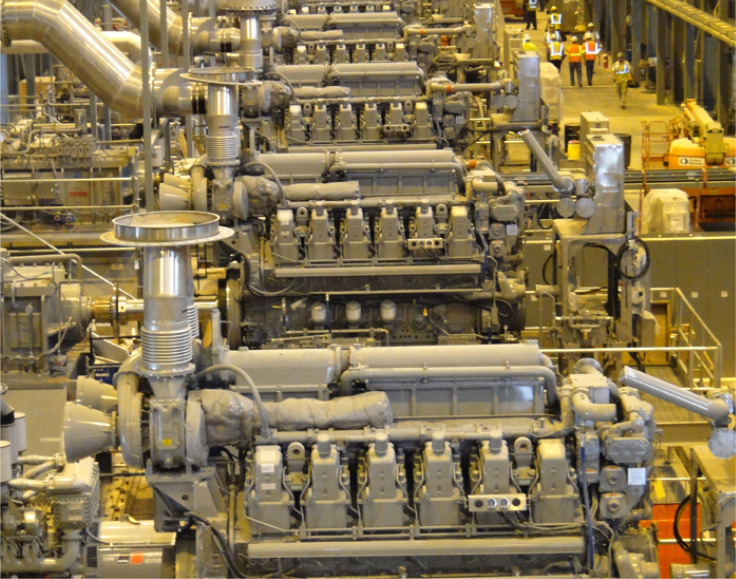 In the summer 2009, Kiewit Power Constructors Co., completed a 400-megawatt simple cycle power plant with four GE LMS100 natural gas-fired combustion turbines. This project is important to California’s need for peaking power during the demanding summer months. ON-SITE supported the Panoche Energy Center project team by providing Quality Assurance Services during the fabrication of the Circ water pumps which were fabricated in Mexico. ON-SITE inspectors completed numerous visits to the fabricator to monitor progress, confirm quality and witness the testing of these large pumps. 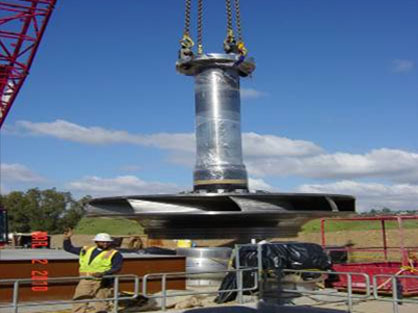 ON-SITE provided shop fabrication inspection services of the mechanical equipment involving the Francis Turbine runner replacements (200 MW and 175 MW capacities), Turbine wicket gate replacements. This project was being manufactured at numerous locations including India. Copyright 2019 ON-SITE TECHNICAL SERVICES, Inc. All rights reserved.